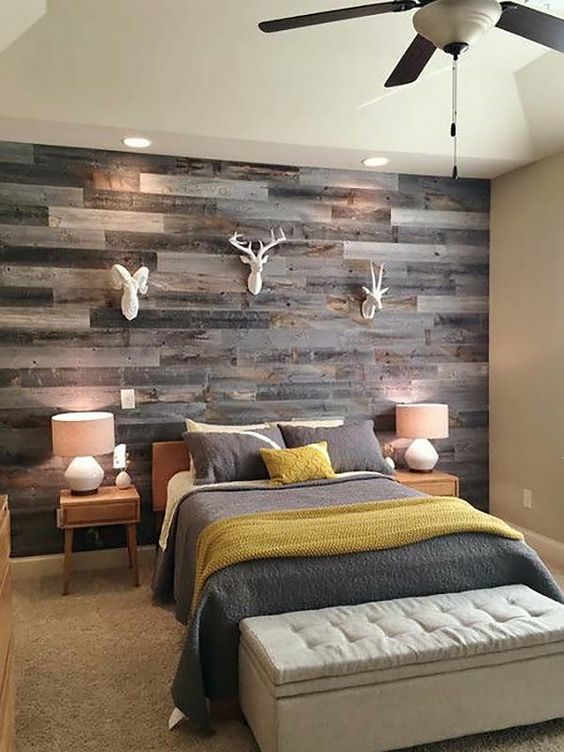 Wood is an amazing material that adds coziness and comfort to any space, it’s timeless and always in trend, that’s why using wood in decor is such a cool idea. 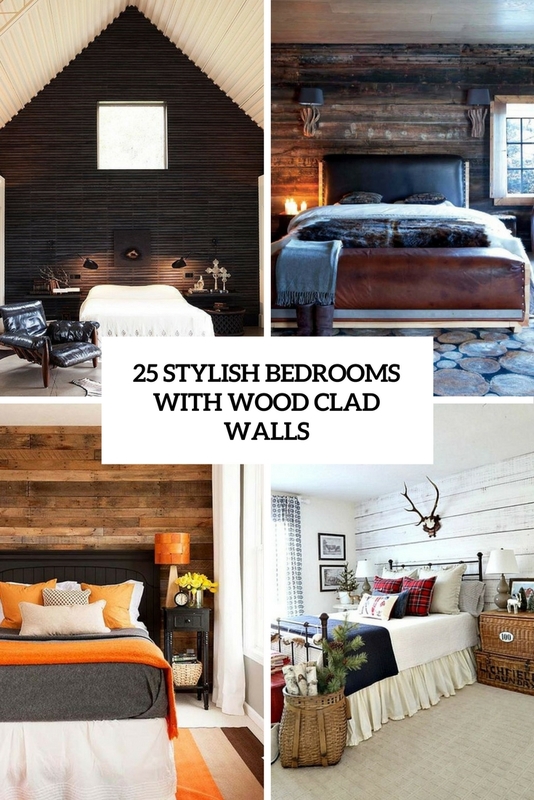 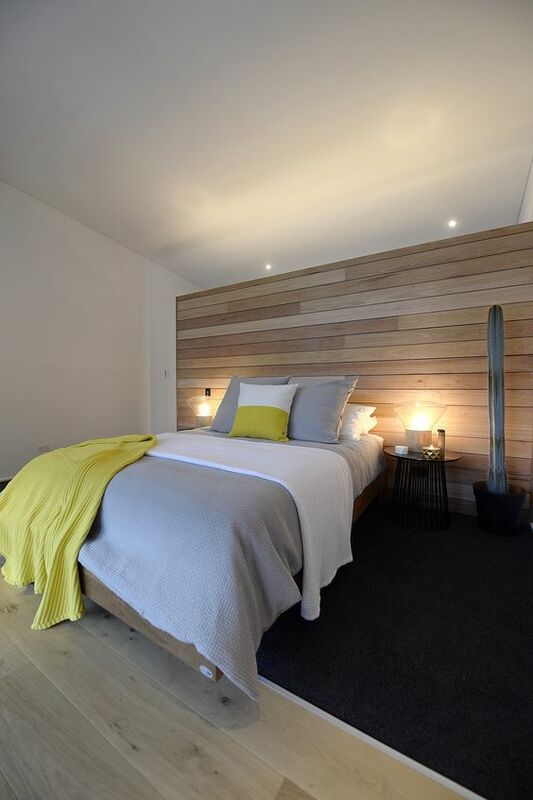 If you want to add wood to your space and are ready for changes, a wood clad wall is a great idea, and today we’ll have a look at wood clad bedrooms. 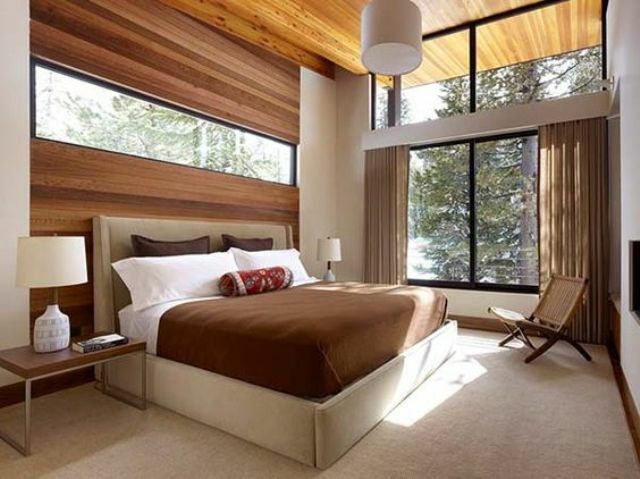 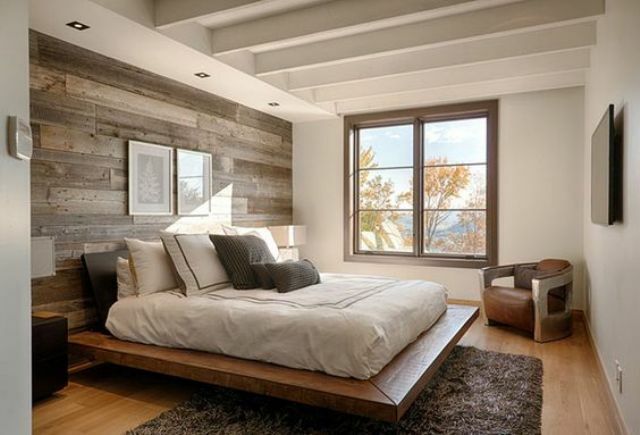 Cladding the whole bedroom with wood is suitable for cabin and chalet spaces, for other styles I wouldn’t recommend that. 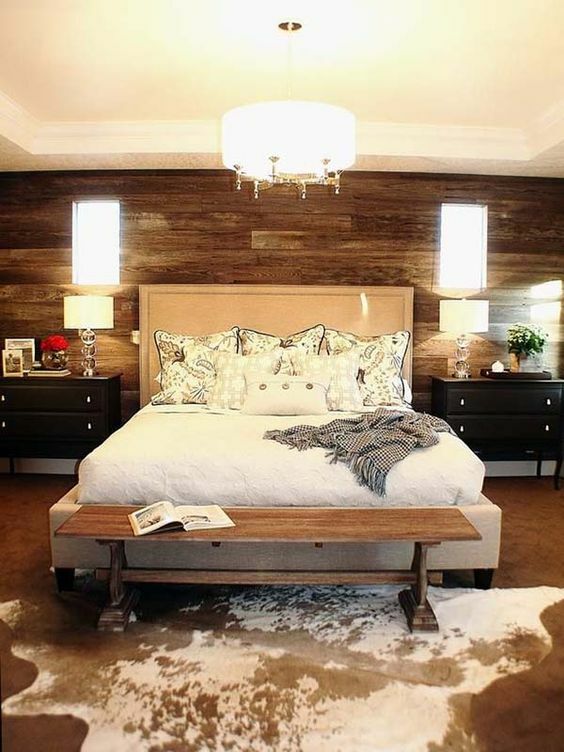 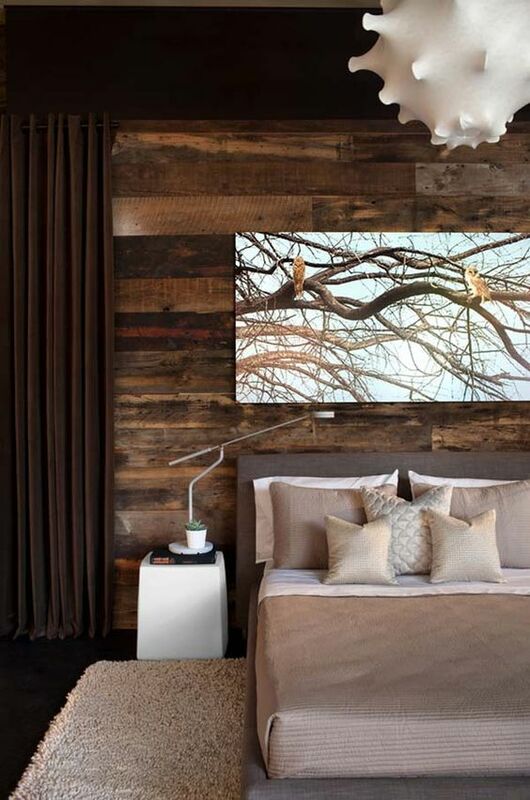 One accent wall clad with wood is enough to add texture and make the room more eye-catching. 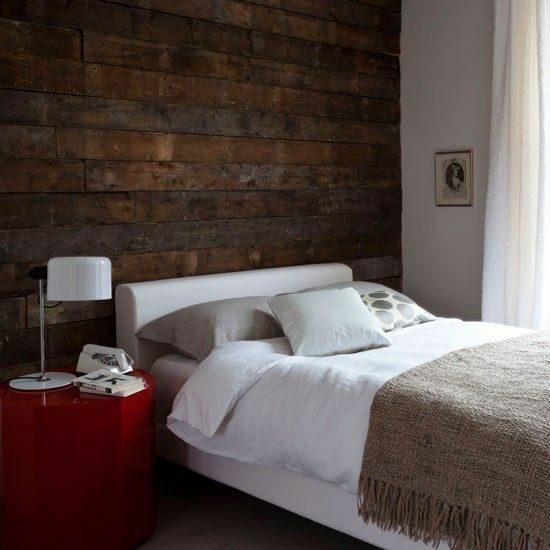 This is usually the headboard wall because it’s the first place where you look upon entering the room. 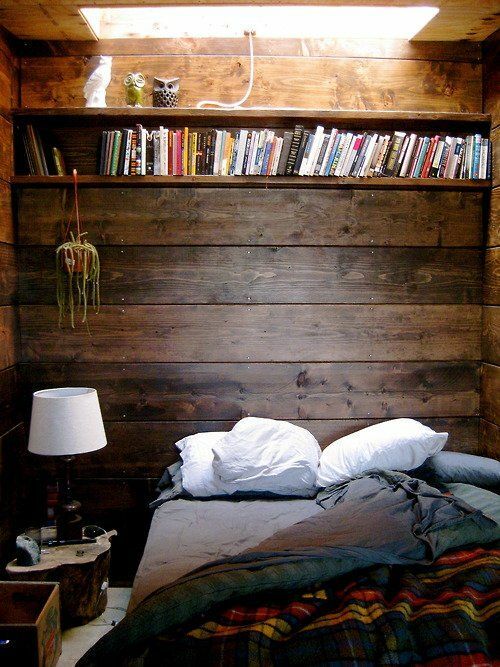 Let’s have a look at some cool ideas you can steal. 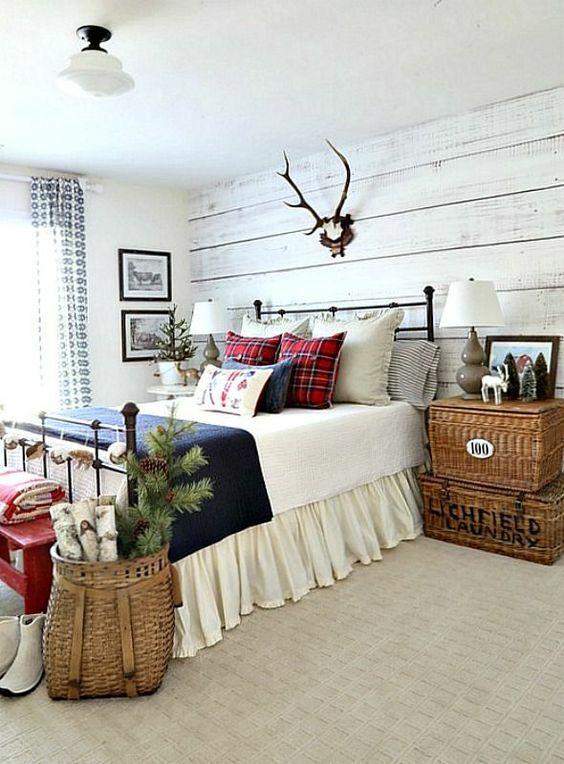 Whitewashed wood can be a nice idea for light-colored and neutral spaces: it adds texture but keeps the space neutral, plus light colors make the space look bigger. 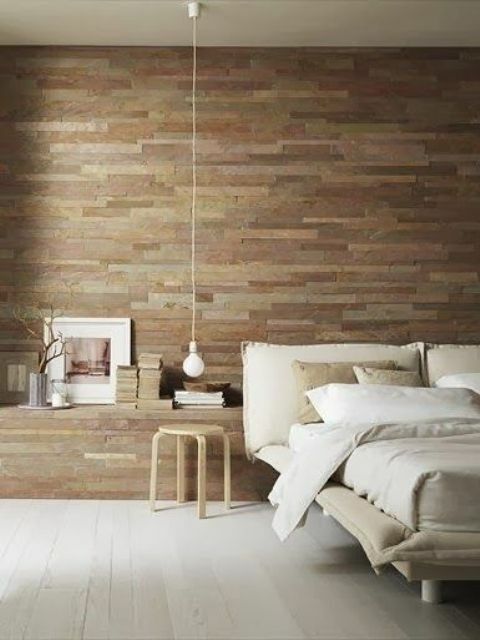 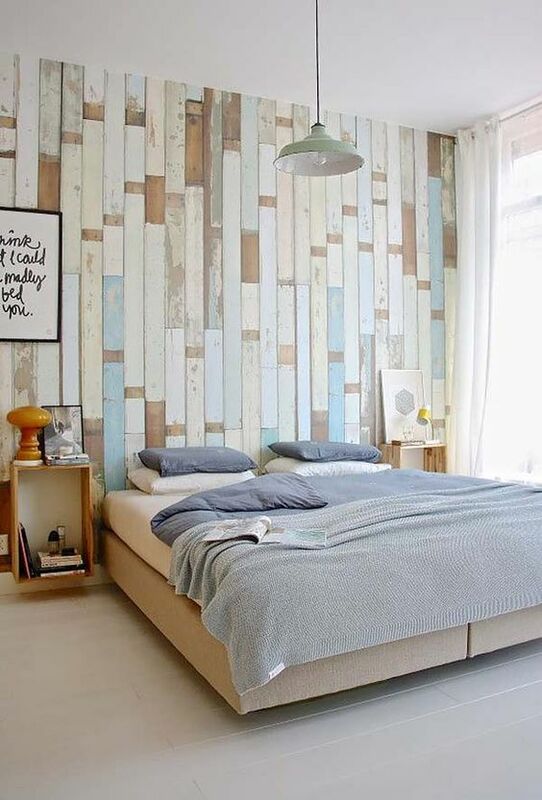 You can go for a light-colored reclaimed wooden wall in different shades to make the space more eye-catching. 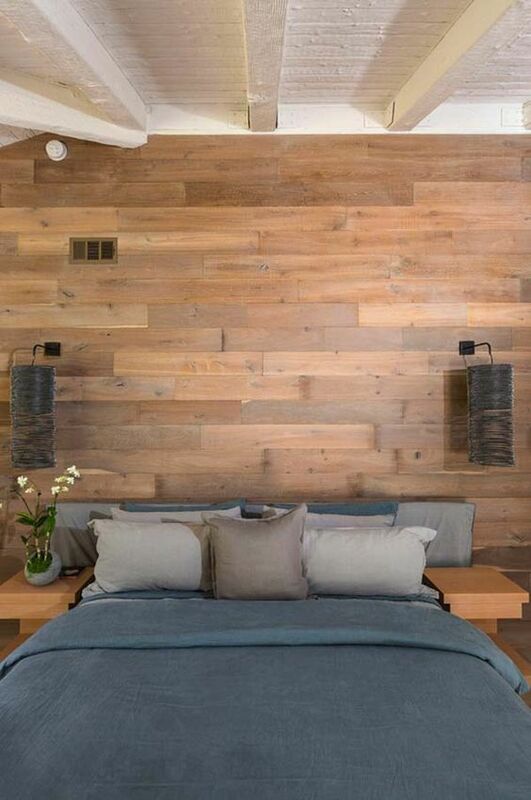 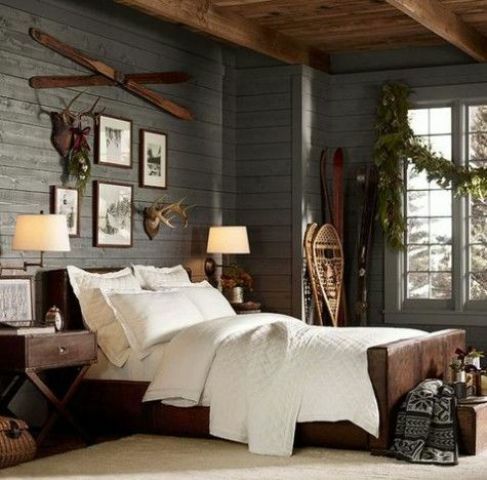 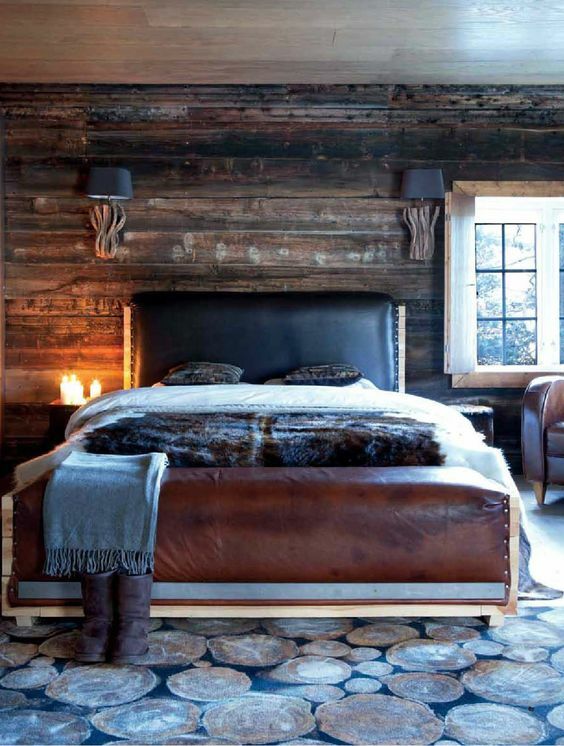 If you want more coziness and texture, your choice is a natural-colored wooden wall. 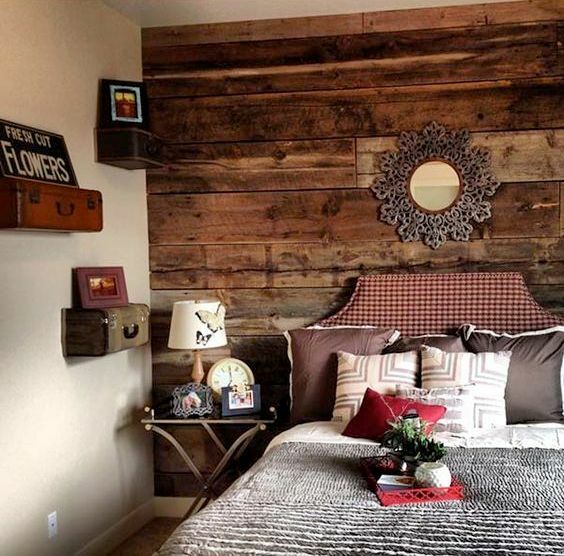 It can be a reclaimed or pallet one, stained and made more natural. 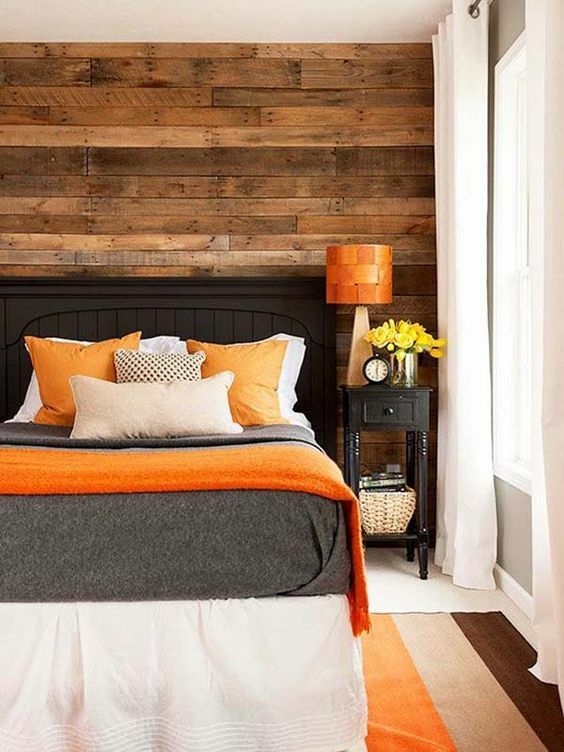 Choose a shade of wood you like and create a headboard wall in this color. 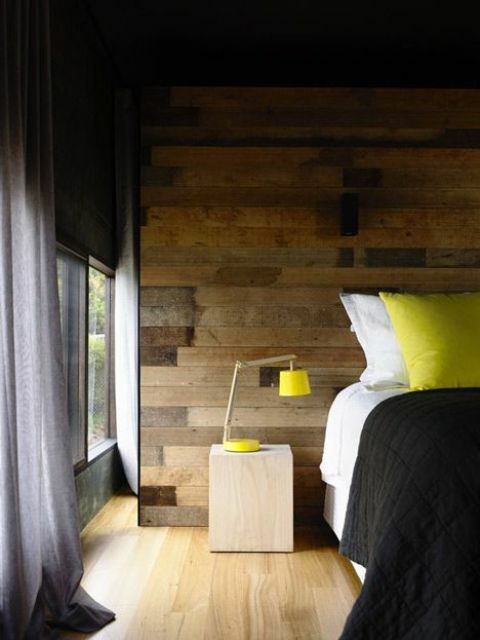 To make it more eye-catchy, take different shades of wood pieces, with which you clad the wall. 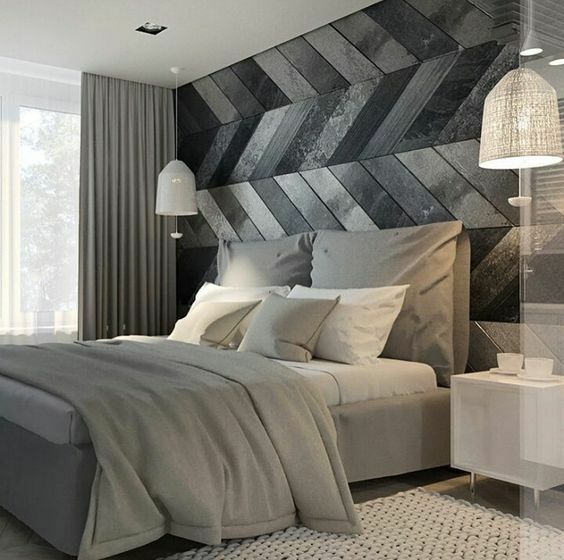 you can even go for grey wood if it fits your interior. 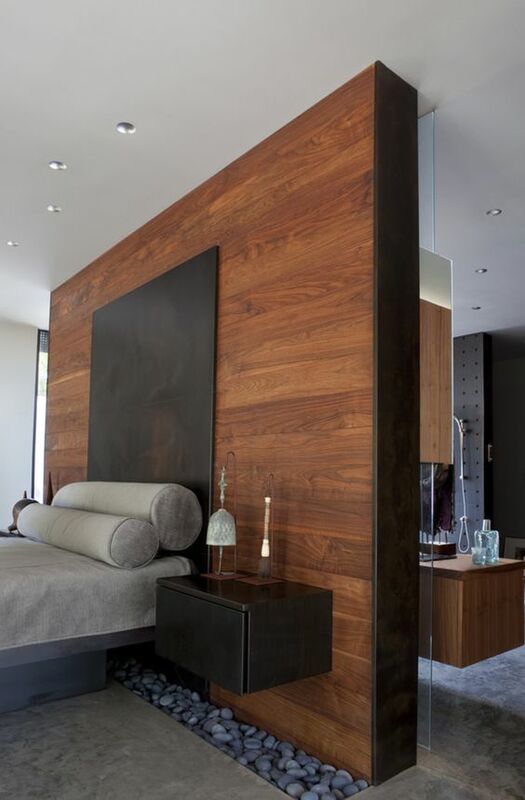 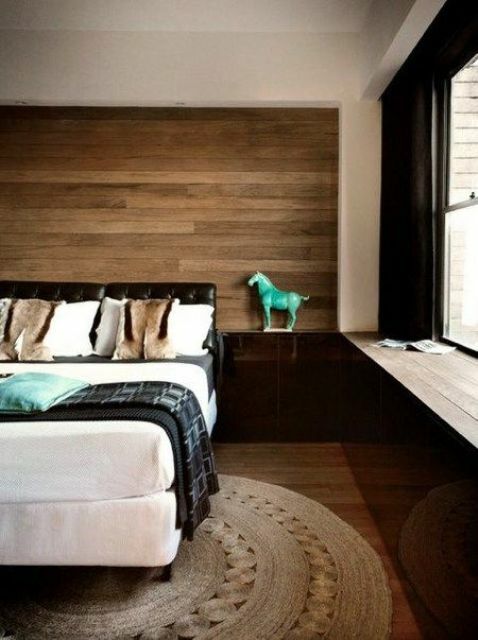 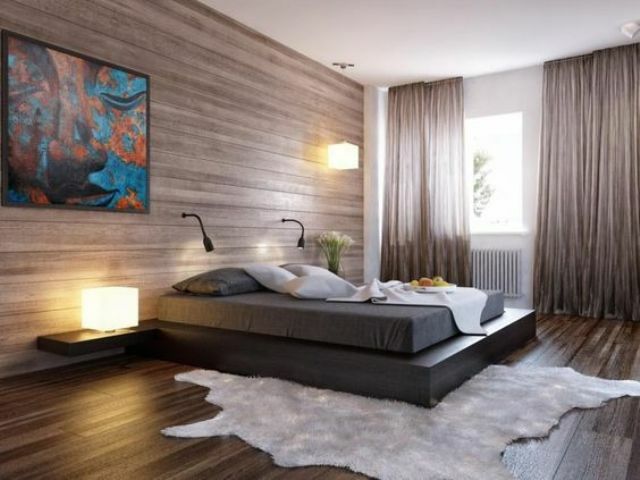 A dark wooden wall is sure to make a statement in your interior, especially if it’s neutral or colorful. 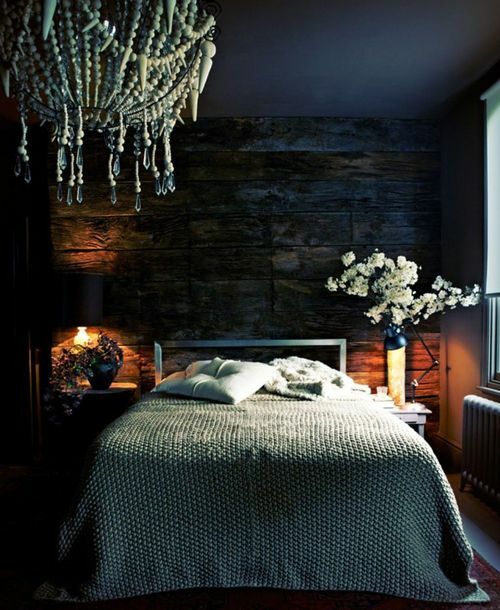 It can become a base of your moody space, or add a rustic feel to a modern space and contrast modern furniture. 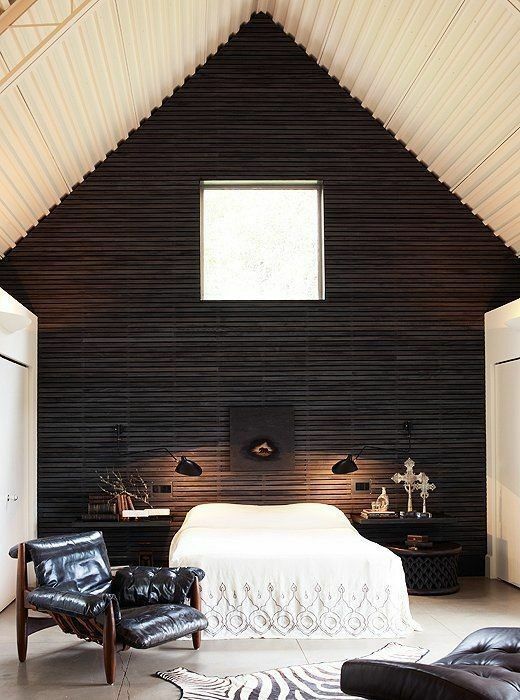 A black wooden wall is a unique feature to rock, and if you make it in a neutral space, you’ll have a very bold detail. 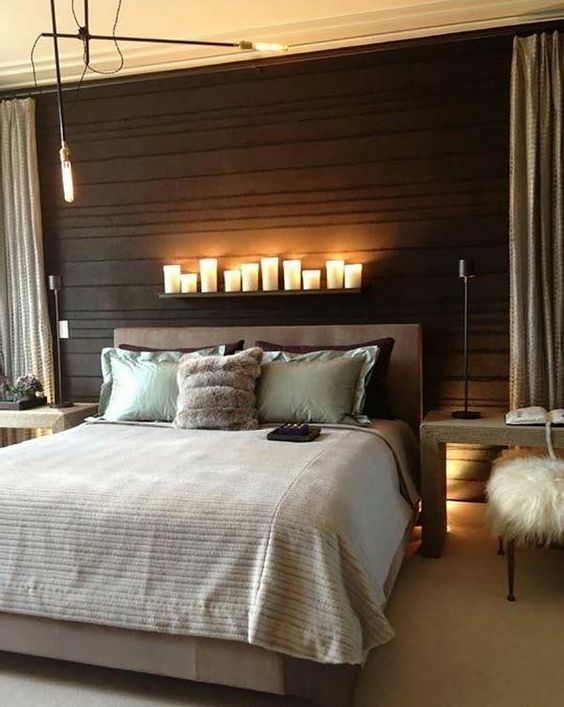 Highlight your black wooden wall with candles, lamps or even a window to bring more light in.